Five Paid Apps That Are Available Free On The Apple App Store Today - Take A Look Here! Five Paid Apps That Are Available Free On The Apple App Store Today – Take A Look Here! For anyone looking to save a couple of bucks while shopping on Apple’s Apps Store, today just might be your lucky day. Five apps for which you’d have to pay for on any other day are available today free of cost. So anyone who might find a use for them, download away! Documents To Go is an app that would normally set you back for about $10 on any normal day. But not today. 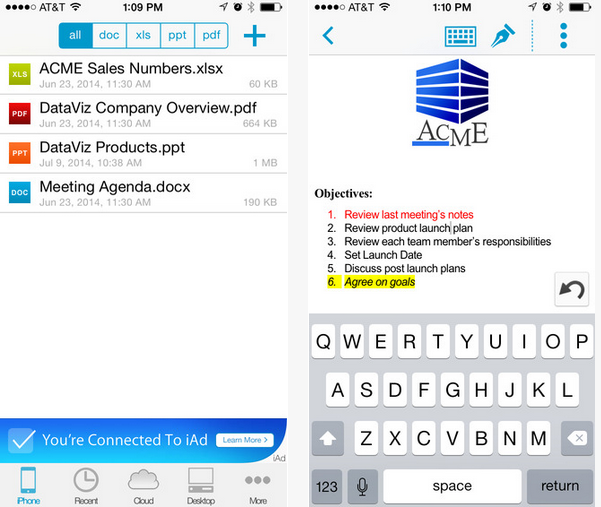 Documents To Go is an alternative for Microsoft’s Office on your Apple device. It allows you to view and edit Office documents on the go. Support is included for Word documents, Powerpoint presentations and excel spreadsheets. Even a pdf reader is included in the package. OBPlayer Pro is a good alternative to VLC or any other media player out there. Support for a variety of video codecs is included in it. In addition to this, the player supports several gestures such as swipe to increase/decrease brightness, control volume etc. Normally OBPlayer Pro would cost you around $ 2.99, but like the other apps in this post, it’s free of cost today. 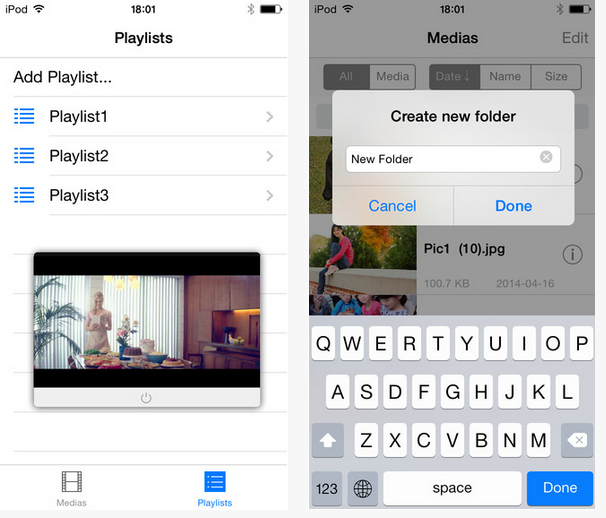 Similar to the OBPlayer Pro app above, AV Player plus is a media player that is available for free today. Support for a variety of codecs such as AVI, MKV, MOV, WMV, MP3, FLV etc is included in AV Player Plus. Gestural support is similar to OBPlayer Pro as well. Ventrilode is a chat app which costs $ 4.99 on normal days. It is an iPhone only app which allows you to chat with your gaming friends. 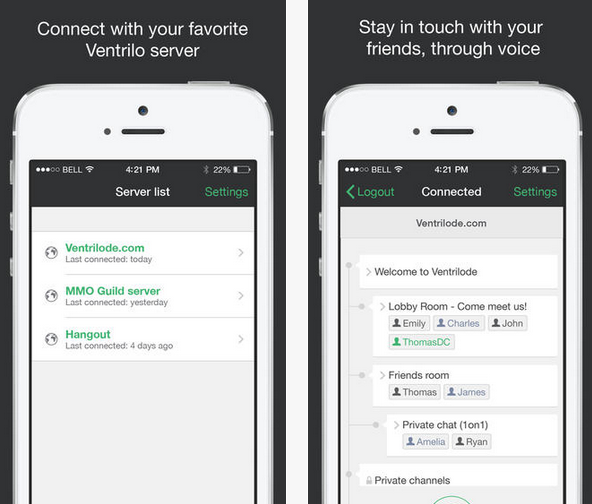 Ventrilode allows both registered users and guests on its servers and also allows users to text each other instead of voice calls. Oh and unlike the rest of the apps in this post, Ventrilode is only for iPhone. 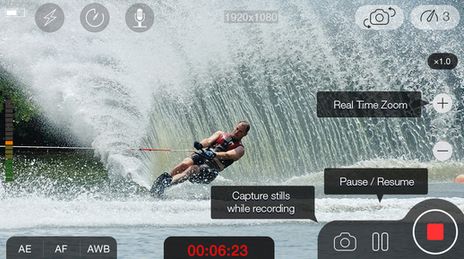 For anyone who records a lot of videos using their iOS device, today’s your lucky day. MoviePro is one of the better movie recording apps out there and for good reason too. Normally costing $4.99, the app has a variety of features such as frame rate adjustment, slow motion, pause, zoom and many more.